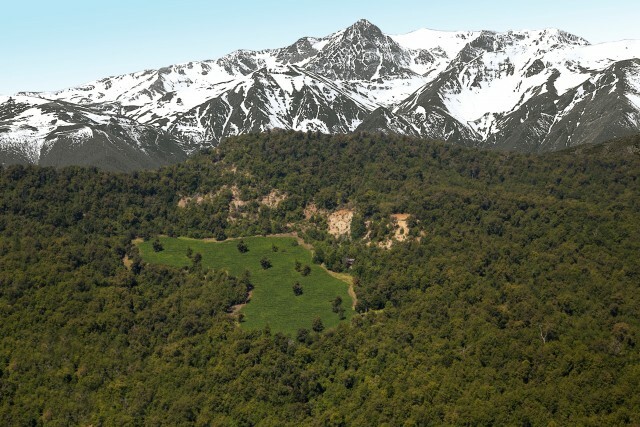 Chile’s Viña Aresti will launch a Chardonnay as part of its Trisquel Series range later this year, as it continues in its mission to highlight the multitude of microclimates and different terroirs within the Curicó Valley. The Trisquel Series range, which sits alongside its Trisquel range, was launched in 2015 and comprises wines made exclusively from grapes grown in the Curicó Valley – located north of the Maule Valley and south of Colchagua – an area of Chile that Aresti has pinned its future on. “As a winery we want to sell and communicate Curicó,” said Aresti winemaker Jon Usabiaga, speaking with the drinks business. “The Maipo, Leyda and Colchagua are more famous but Curicó is one of the biggest. It has a history of Chilean viticulture in its own right. The objective of the Trisquel Series range, says Barbara Lewin, marketing manager of Aresti, is to show the versatility and different terroirs that Curicó has, according to how far or how close they are to the mountains or coast. 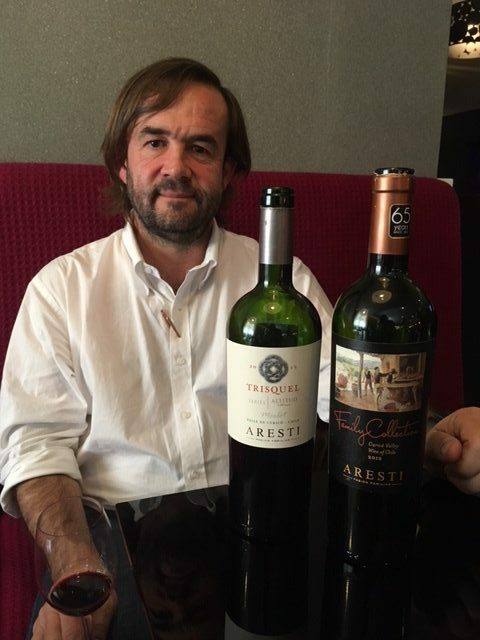 Aresti’s Trisquel Series Merlot for example is produced from grapes grown at Curicó’s highest vineyard – a remote plot located at 1,245 metres in the Andes. The range also includes a Sauvignon Blanc which comes from a vineyard 15km from the sea, a Cabernet Sauvignon from old vines in the central valley, and a Semillon. A 100% Chardonnay, made from grapes grown in La Queseria, 15km from the coast, will join the Trisquel Series lineup later this year. One variety that Aresti believes has particular potential in Curicó is Semillon, once one of the most planted varieties in Chile and a variety that has undergone a slow-building revival in Chile over the past decade. “It’s back to basics,” said Lewin, describing a return to this variety, pointing out that many wineries already had Semillon planted, with many of those vines 30-40 years old, but were not using them to produce wines. Aresti is in the third vintage of its Semillon Trisquel Series with the 2017. For Usabiaga, Semillon’s ability to age is helping to drive the quality credentials of Chilean wine upward. When asked what was driving a revived interest in Semillon, Usabiaga pointed toward Sauvignon Blanc drinkers. The growing use of concrete eggs in Chile is also evidence of a ‘back to basics’ approach in Chile, said Usabiaga, with a portion of all of Aresti’s Trisquel Series, and some of its small batch wines, fermented in 2,000 litres concrete eggs. While Aresti now owns a number of concrete eggs, Usabiaga admits he was at first sceptical of their benefits. While the Trisquel Series range represents the investment Aresti is making in Curicó, with four estates located here from east to west, it is also experimenting with other varieties. Last year, Aresti planted some experimental plots of Roussanne, Marsanne and Pinot Noir, which will see their first harvest in 2019. The producer also makes a Cinsualt under its Espirite de Chile label from the Itata Valley. Such innovation is key to encouraging consumers to trade up, believes Lewin, recognising the difficulties that Chile faces in raising its reputation for quality, pointing to Chile’s diversity and flexibility as strengths to help producers overcome perceptions. “As an industry we want to show Chile’s diversity,” said Lewin. “We have so many microclimates and almost no regulations, so winemakers can do whatever they want, whenever they want. That’s our competitive advantage. We can have a Syrah from the very far north and the far south of the same grape, to show the terroir in one variety. Aresti’s range, including its Trisquel Series, is available in the UK from Copestick Murray. Its Trisquel Series Chardonnay will be released later this year, with its RRP expected to be in the region of £15.